Serial killers became the part of Western pop culture, so their various appearence in entertainment industry isn't surprising. 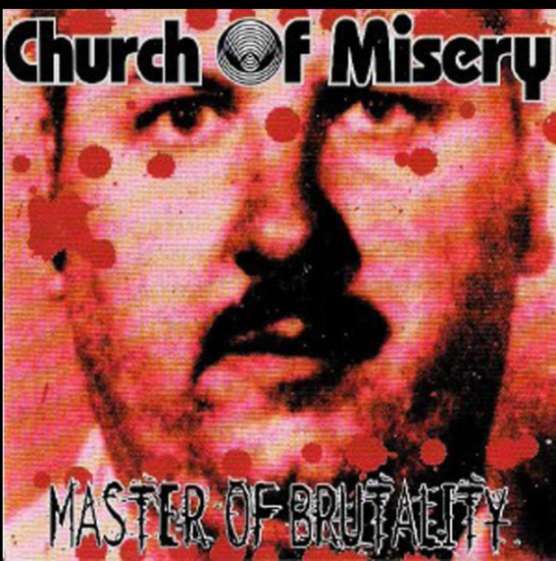 This was exactly the reason why Church of Misery found them as an inspirational influence. Each of their songs are dedicated to a notorious serial killer. The way how they combined this topic with a chilling but heavy stoner/doom musical backgound might sound weird first, but this combo just worked out fine. Like most other Japanese bands, they probably also spent a lot of time to analyze the genre and it's influences to create something that sounds like anything but Japanese music. And they did it with the same musical fruitfulness like usually. 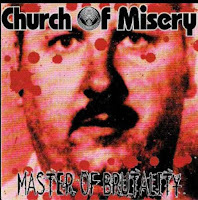 Church of Misery sounds like a pro American stoner band straight from Palm Desert Killifornia. They reinterpretated the style of '70s hard rock in early '90s style, and their themes including plenty of nostalgic references on the side of Black Sabbath, that is the most commonly returning one. "Master of Brutality" could be an excellent example to introduce the style and it's origin. But their lyrical topics made them genuine first of all, because to put such violent idols into the main focus wasn't usual in this style. This concept is also related to the scale of pleasure and pain (in this case death too), the difference is that in stoner rock it used to appear in everydays form. The popularity of these modern aspects of boogie men started to increase fast that time, so they just invlolved them into an uprising audience friendly style. 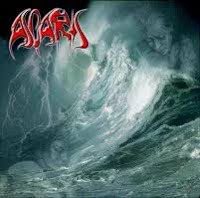 Ascaris have returned after a longer break with "Storm of Dilemmas", that became the swansong of the band and the summery of their musical work the same time. During their one decade long active period they had only two full-lenght albums and one EP, but each record showed a different state of their musical progression. 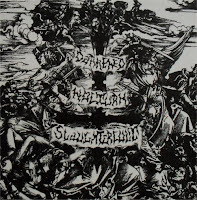 "Storm of Dilemmas" included the melodic ambitions of "Grapes of Wrath", but also turned back to the old school sound of death metal that could be heard on their debut "Uncured Sickness". This album didn't have so catchy melodies like the EP and also wasn't so raw like the debut. It was somewhere between with it's more mature sounding themes played by already well experienced musicians. They never kept in secret that Death was an inspirational band for them by their occasionally returning references, but the influence of Death's late period is more evident in the themes of this album. And if it wouldn't be enough evidence, they also covered a song from "Symbolic". "Storm of Dilemmas" took place on the borderline of styles such as the EP back than, but in this case the band came up with more diverse themes. The album was intense and fast just like how old school death metal should be, but also introduced the modern sound of the genre. Nostalgic and progressive the same time and consumable for wider audience too. Another masterpiece by Ascaris! With time plenty of newer black metal bands showed the ambition to try to exceed the classics of the genre in brutality and heaviness. Black Dawn was everything but a new band, cause they existed already since the early '90s, but the time for their full-lenght debut arrived a bit later. This raw, compromise-less path was already introduced in the North by Marduk, so a sample already existed for those who desired something wilder. Black Dawn also realized that the easiest way to level up the effectiveness of blackened themes is to decrease the atmospheric sound. And like taking a sample from the way how death metal bands tried to exceed each other in brutality a decade earlier, they tried to be more exaggerated all-round. In sound, speed and lyrics too by turning so evil as it's possible and so desperately satanic, that it should impress even the Dark Lord itself. This and the animalistic backing vocals somehow more reminding to Deicide, than to Norwegian black metal, and the common horror movie references are also like some Western-like influence and unusual to hear in ordinary black metal. Even though "Blood for Satan" musically fits perfectly to the rules of how this genre should sound like, it's something different, but couldn't disappoint the fans of raw blackened noise. Black metal finally started to spread fast in the extreme scene after a few decades of delay. While in Scandinavia a strong fixed scene formed meanwhile, the newbies appeared first in higher numbers in other European countries. 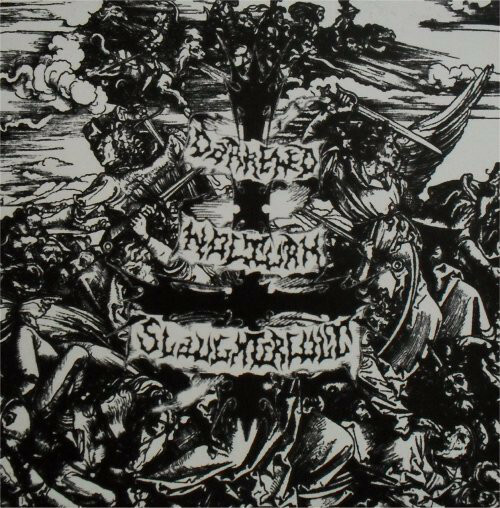 Darkened Nocturn Slaughtercult was one of the heavier ones by their raw styled black metal, and they also payed attention on high sound quality. In traditional Northern black metal the atmospheric sizzling sound pulls down the effectiveness of themes and drumms, but in this case the atmosphere had minimal role, and the intensiveness of their music had main focus. The clear sound turned the extreme themes far more heavier, and didn't left many opportunities even for dark emotions to involve. Except this they kept the ordinary style features. The other interesting thing that they had a female vocalist by Miss Onielar, who didn't sound less authentic than any male black metal frontmen. Her performance was enough aggressive and insane to keep silent even the pickier audience who often having very deep arguments about trueness. Darkened Nocturn Slaughtercult may sound a bit modern compared to the old classics of the genre, but their compromiseless music gave a genuine new shade to the blackest extremities. Even though the official language of the international music scene have to be English, there are some fortunate exceptions when this rule gets ignored. Rammstein gained wider success with their second album "Sehnsucht", and by "Mutter" their music became the essential part of the metal for beginners basic pack. Their main influences could be found in the uprising German industrial scene of the early '90s. Their musical and lyrical features referring back to Oomph! so many times, that it's impossible to not name them as their main influence. This is the origin of their mix of raw sound, short but effective lyrics, and sometimes hidden, sometimes direct sexual background. 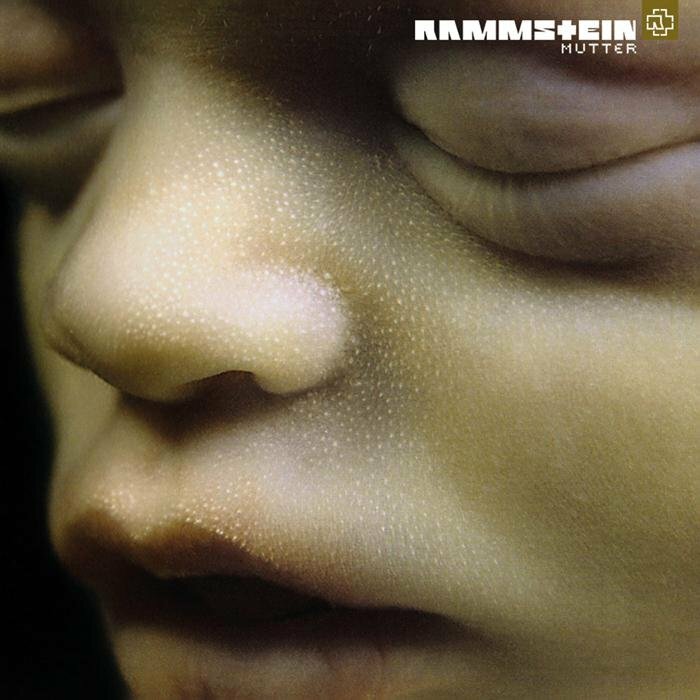 Rammstein just developed it further and formed to their heavier taste. The reason why they took place between the most known and best selling metal bands is their genuine combination of simplicity and heaviness. Simple but heavy and repetitive themes, simple but expressive message, and Herr Lindemann's characteristic vocal style that became an icon. So their music included a little bit of everything from the main features of the style. From martial industrial, from the party centered style of the underground dancefloors, and even from the darker, horror related direction. They were also not afraid to involve instruments and influences that were not usual to hear in industrial music. In this way "Mutter" was more diverse and progressed than the second album. The band gave a new shade to the main industrial metal scene and bacame one of it's most influental bands. Anaal Nathrakh gained wider attention fast by their interesting sound and experiment to give a new tone to musical extremity. There were plenty of experiments before to mix industrial with death metal, but in most cases the electronic music influences had to replace some of the features (like the extreme speed or noisy sound) to be able to prevail, and turned the music more melodic. 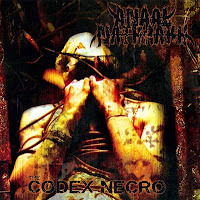 Anaal Nathrakh tried the opposite, to increase the speed and turn everything noisier. A few bands (like The Berzerker for instance) tried this path too, but they didn't really succeed by speeding up the most primitive electronic sound and simply pasting it into death metal. Anaal Nathrakh payed more attention to find some balance for the sound (in the chaos), they tried to industrialize the that time newly spreading black metal. The basic sound of black metal had a fusion with raw industrial noise and the intensity they pulled up to the level of grindcore. In this form it worked and first of all the fortunate the style selection was responsible for their success. The industrial noise they experimented with didn't only fit well to the atmospheric black melodies, but also increased the level of insanity exaggeratedly. However this style also wasn't able to open new perspectives for extreme music, others who also tried this mix were not so lucky. Since nu metal was not a so unified style, it had various opportunities to mix different influences. But not many bands lived with the opportunity and they just stucked at some mix of hip-hop and metalcore. Fortunately Kittie was not one of them. 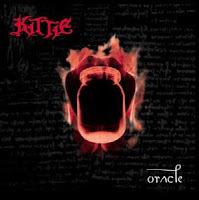 The appearence of Kittie was also interesting because they sparked attention with their full female line-up. It was nothing new to see women in aggressive bands, in the underground scene there were plenty of examples for that before, but for the mainstream audience it was still new and extraordinary to see women growl, scream, headbanging and to play heavy music. The band never kept in secret that they sympathized with extreme styles, and death metal influences appeared in their music too. 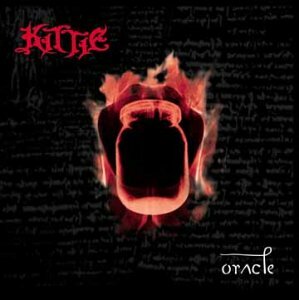 In general their song structures kept the simplicity and repetitive style of nu metal, but they often operated with heavier riffings than it was usual. That gave more reason to their heavy sound than bare attention seeking or contrast, unlike at most other nu metal bands. Even though they had plenty of girly moments and clear singing on "Oracle", the screaming vocal style they had in it's contrast was also wilder compared to others and uncommon to hear in mainstream music. It was definitely not the Linkin Park, Korn and Papa Roach-like line, their music was easier to find in the playlists of Slipknot and System of a Down fans. Somehow the really intense productions were always missing amongst stone bands, or if some bands tried that way, soon they slowed down and preferred to stay in psychedelic trance for a long time. Or they just disappeared fast after like Cuda did unfortunately. Anyway the band was interesting because of the intense swing of their music that stepped through the borders of ordinary stoner rock. By that and their heavy sound they were closer to metal, but still on the old school path of '70s hard rock influences instead of doom or sludge, as it would be more common in this style. Even though "Hellfire" is only and EP, the way how they spiced up it's extented song lenghts with groovy party compatible themes, could create the illusion of a full-lenght album. There are some occasional slow downs of course, but these just seem like to serve as prologue or epilogue parts of the heavy rockin' on. Cuda sounded like if they strained off the most intense momenst of old stoner rock classics to mix them into a whole in their own music. 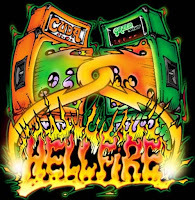 But the main feeling of "Hellfire" reminds to "Wretch" by Kyuss. By the way Cuda was a short living side project of some members of the infamous Bongzilla. 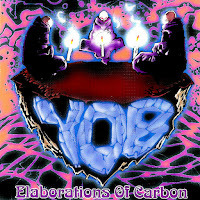 Compared to other stoner/doom bands, Yob had a genuine approach of the style. Their music was also like a reinterpretation of of the style of the '70s, but included plenty of modern musical features too. They focused on to create a strong psychedelic atmosphere and on a decent level of heaviness the same time. The first one referred back to the early period of progressive and psychedelic rock and able to spark very nostalgic feelings in the listener. The singing style also sounds like some awakened blurry voice that sings directly from the '70s. While the heaviness was mainly represented in simple and raw themes assisted by rude sludgy shouting. Both of the two styles could be fine enough only by themselves, but by mixing them a very interesting contrast was created. Still the psychedelic hovering has main role, though the heaviness sets on aggressively to interrupt. They used up well the possibilities to pile up plenty of catchy themes for their extended song lenghts. Most of them are quite intense too for doom metal, so the balance is not shown only in the heaviness. The excellence of the album lies partly in it's diversity and partly in it's musical progression. It's able to show something new after every listening for long term.